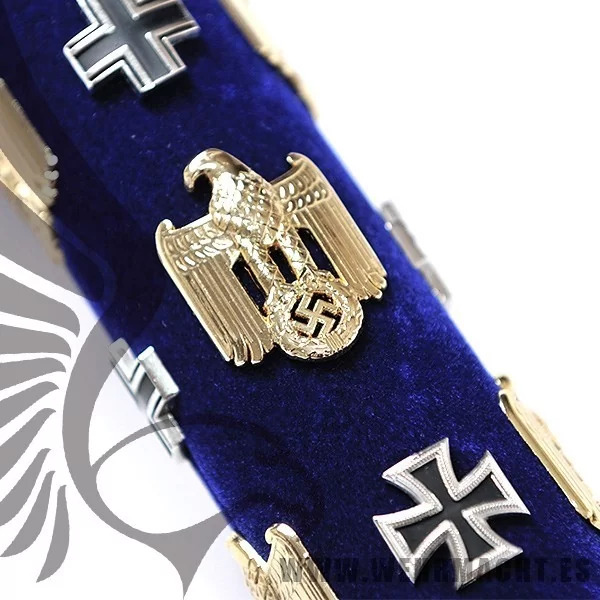 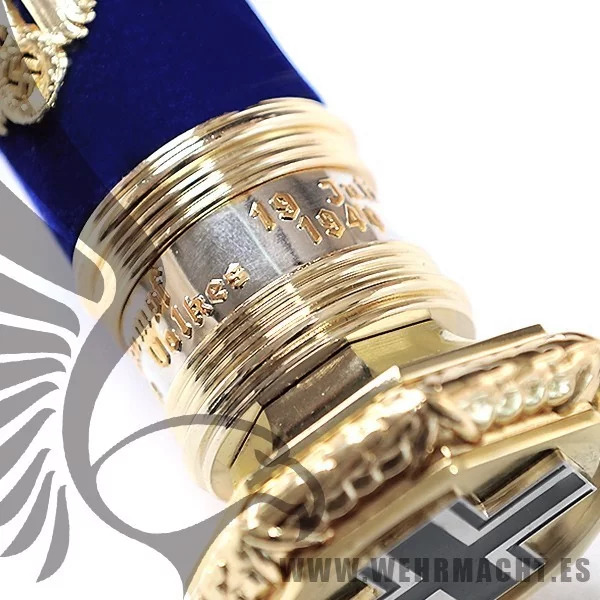 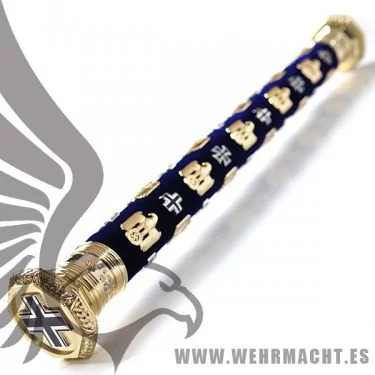 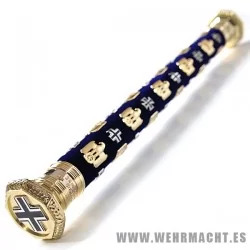 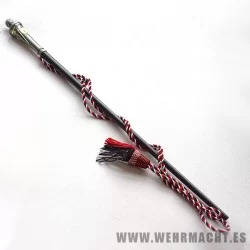 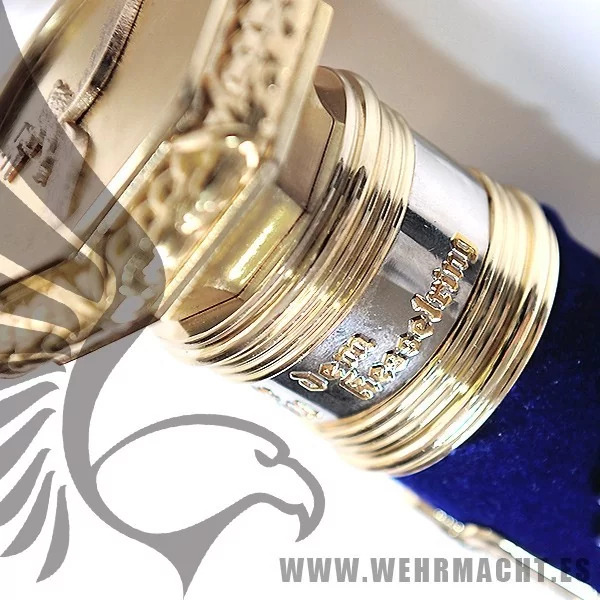 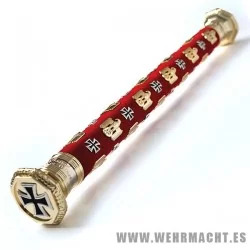 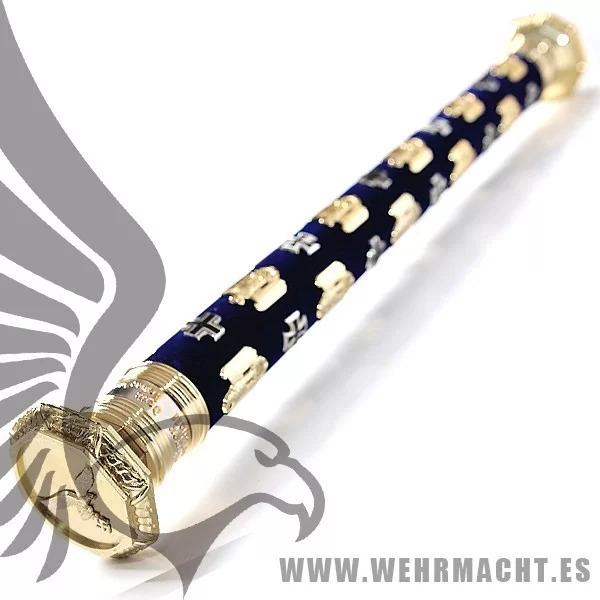 Albert Kesselring's Field Marshall Baton, replica made with aluminum center tube in diameter 3.5cm, covered with smart blue velvet, finished with 20 eagles and 20 German crosses. Cross and Eagle on each end of the baton and two inscription rings. 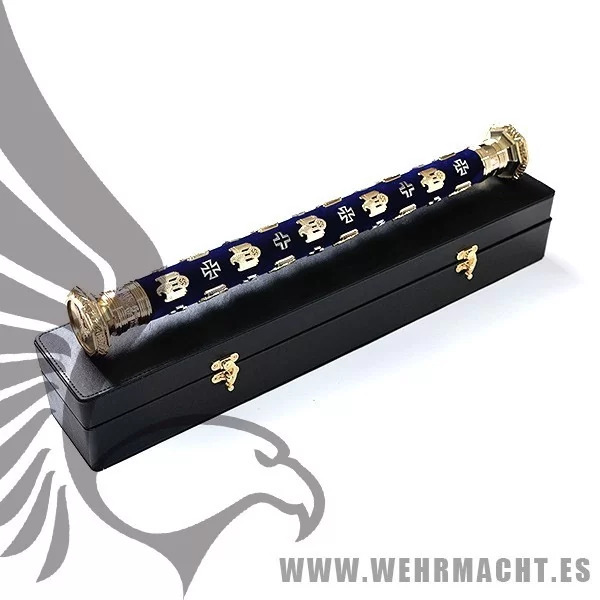 Comes with a nice display case made of artificial leather.